Back in 2003, when the state of Texas put a cap on the amount of money that is recoverable in medical malpractice lawsuits, many attorneys and law firms across the state got out of the business of helping families who have suffered due to a negligent nursing mistake, surgical error or any other form of medical negligence or physician malpractice. The hard-headed lawyers of Davis & Davis refused to give up the fight. We could not, in good conscience, abandon the victims of medical malpractice because of financial expediency. Based on our commitment to our clients and our deep-rooted Christian faith, we chose to buck the system. Even in the difficult legal climate in Texas, we remain dedicated to changing the medical system by helping the innocent victims of medical malpractice seek the full amount of financial compensation allowed under the law. If you and your family suffered as a result of a doctor's mistake or a hospital's negligence, the team at Davis & Davis has the experience, legal skill, ethical standards and aggressive approach you should have on your side in the fight for justice and recovery. Please contact our offices in Houston today to schedule a free consultation with an experienced Texas medical malpractice attorney. What Is a Contingent Fee Arrangement? 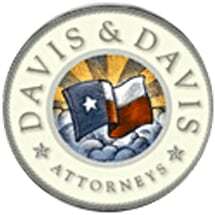 The Houston law firm of Davis & Davis represents victims of medical malpractice on a contingent fee basis. This means that our clients pay no upfront legal fees or out-of-pocket expenses for our services or for those of the high-quality independent medical experts we employ. Our investment in you and your recovery only pays off when we are able to obtain a financial settlement or jury award in your case. It boils down to this — we are so dedicated to helping the victims of medical errors recover that we are willing to put our money where our mouth is. If you need honest answers and straightforward legal advice with aggressive and experienced representation to recover the financial compensation you may be due for the doctor's error that cost you and your family so much, please call our offices in Houston at 713-781-5200 or toll free at 877-202-0835 to schedule a free consultation. You may also contact us by e-mail with your important questions or to request an appointment.